Here’s the story from A to Z – The ongoing recent Spice Girls reunion saga has been an emotional roller coaster to say the very least. Talk about hai si ja hold tight! 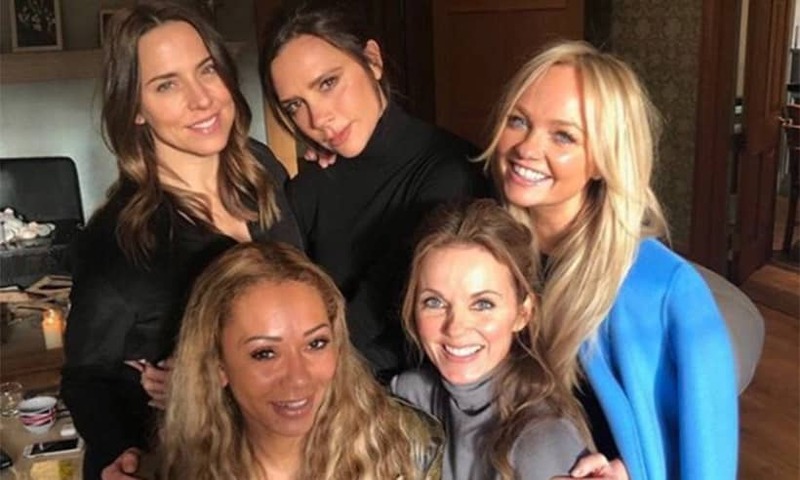 One moment Posh is digging her 6-inch heels in and is adamant she won’t be “zig-a-zig-ing” anytime soon, then the next minute all five Spice Girls are pictured together and saying that “friendship never ends” and that we’ll all be truly spiced up. Yay! But now it is being claimed (again) that Victoria really really doesn’t want to dust off her little Gucci black dress, and is refusing to “say she’ll be there” with her former band mates, and in the process, destroying our hopes, dreams, and the very space time continuum of Spice World, plunging us into sheer darkness. This all began when Mel C recently came out and said that a reunion tour wasn’t something that Victoria Beckham wanted to do, and that we’ve all been deceived. Despite all the members of the all-conquering girl band – Mel C, Victoria, Mel B, Geri Horner and Emma Bunton – getting together for a good ol’ lunch round at Geri’s earlier this year, and sending many 90’s kids everywhere into a frenzy with THAT Instagram picture, Sporty quickly “Katrina Highkicked” any talk of a full blown Spice Girls tour extravaganza out of the equation. She added that there won’t be any new music. Come on girls, we thought that smiling, dancing and miming to old songs was at least free? We just want to swing it, shake it, move it, make it… damn it! Mel’s comments seem to back up their manager, Simon Fuller’s words in March, who said “it may be four, not five” when asked if the successful fashion designer, Victoria Beckham, had committed to the reunion. Earlier this month, Mel B appeared on US TV where she said all five girls had received invites to Prince Harry and Meghan Markle’s royal nuptials and coyly indicated that the Spice Girls would be the official wedding singers on the day. Furthermore, it has recently been revealed that Posh aka Victoria Beckham, doesn’t want to go on any tours, as it will mess up her momentum with her fashion brand, even though if she would make an appearance, it could net her around £3 million whether she participates very much at all. So, there you have it! Some people’s Spice dreams have been well and truly slammed to the ground. So much for girl power, eh?